Even if you are wearing a very simple outfit, a great pair of sunglasses can elevate your look in no time. However, the trick is to find the style that suits your face shape. 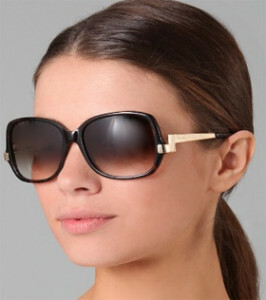 In order to find such a pair of sunglasses, look for the shape that is opposite your face shape. If you want to learn more, take a look. If you have a square face, look for rounded frames. Sunglasses that have a softer look will complement your forehead that is almost the same width as your strong jaw. Alternatively, you can look for aviator frames. People with a round face shape should opt for sunglasses that are rectangular. Such frames will make your face look more angular and even longer. Furthermore, is you have dark #hair, look for darker colored sunglasses, but if you have light #skin and #hair, opt for the frames that are a bit yellow. If your face is longer than it is wide, you have a long face shape. What you need is a frame that will make your face look more proportional so look for the sunglasses that don’t go past the widest part of your face. If your chin is pointed and way narrower than your forehead, your face is triangular so you need to look for the sunglasses that are rectangular. Such a frame will make your face look more balanced.